Fill your Styrofoam cup with ice. Fill 2/3 with water and 1/3 with vodka. Give it a couple of squirts of MiO and finish with a squeeze of lime. Taste and adjust. You may want it sweeter (add more MiO), tarter (add more lime) or stronger (now, you’re speakin’ my language; add more vodka). Have a wonderful weekend, y’all! And thanks so much for your support. It means the world to me. *Please don’t tell me I’m being un-American or un-Southern or un-Texan because my favorite signature drink calls for foreign vodka. Now I love Tito’s (from Austin, TX) as much as the next girl. But have you tried this Wild Tea vodka? It’s seriously amazing. I’m promoting global unity and peace here, y’all. †Apparently I’ve been in direct marketing too long, since I seem to have an affinity for using disclaimers. (Somebody save me.) Anyway, have you tried this stuff? It’s “Liquid Water Enhancer” that you can get at your grocery store in the aisle with the bottled water and the Crystal Light. It’s a yummy way to add flavor without adding sugar or calories. Great point, Dr. Phil! You keep an eye on my posts and let me know when I need editing, please! 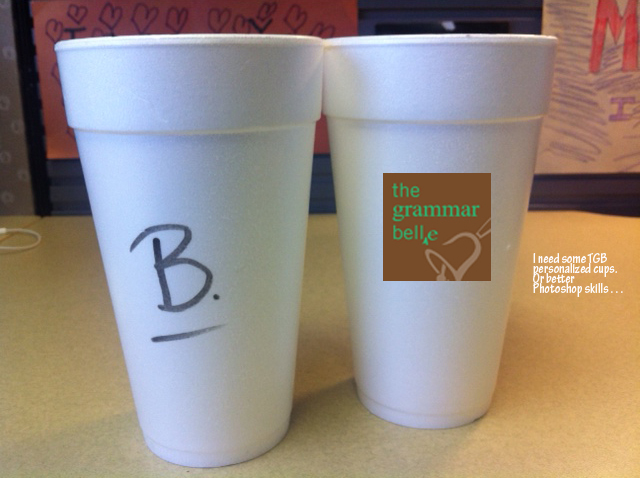 This entry was posted on July 27, 2012 by The Grammar Belle in Adult Beverages, Something to Sip On.